Superior outdoor parking. 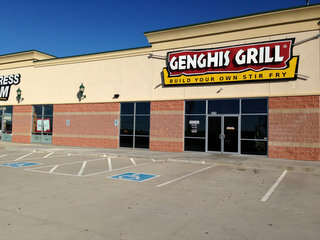 This location could be the "benchmark" for others to emulate. 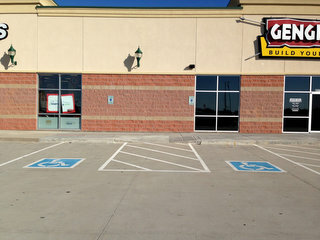 Multiple handicapped spaces with allowances for lifts; however the two of the three on the left are at the cutout, while the far right one does not have a cutout. Not a steep incline on the cut-out plus it has the concrete incline "kerfed" for slippery conditions. Did not observe an overly wide division between the top of the incline and the surrounding sidewalk. 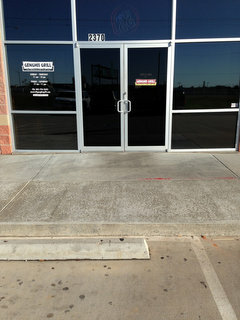 Very wide sidewalk in front of the whole building which makes entry/egress from the store easy. 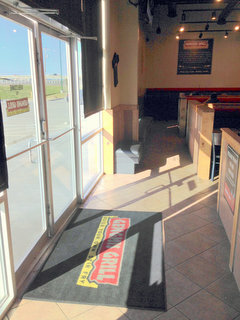 Double glass doors open outwards. Unobstructed pathway immediately inside. While there are some tables on a raised platform area they also have barstool type seats and taller tables. But there is more than adequate chair height tables available. Drinks are served by waitstaff. The finished food bowl is also delivered. The serving line requires you to pick out various ingredients and place them in a metal bowl. The items in the back are difficult at times for a standing person, but there is always someone attending the serving line that can help out. I was told there is also a "check off style menu" that can be utilized and the bowl will be filled for you. Very accommodating staff and reasonable prices. You can earn a "free bowl" using their loyalty card (as I do). I had to rate a "4" on Inside Navigation because they had a table set up in the hall leading to the bathroom. 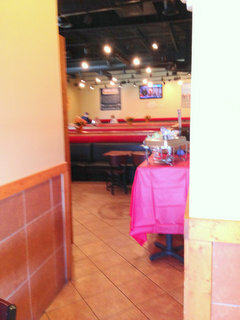 The tablecloth hanging off the second table was just 28" from the wall. 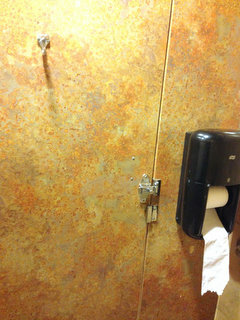 I think a chair could have brushed by though. 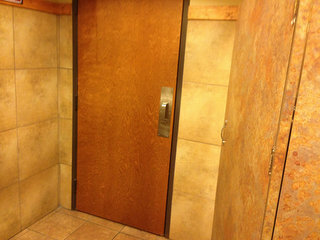 I rate the bathroom itself with a "4.5" because the outer door opens inward and the stall is immediately to the left. 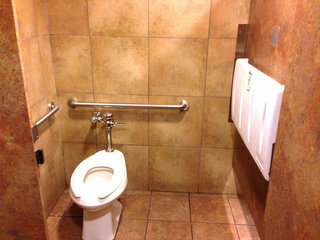 A person could get "whacked" while maneuvering their chair to back into the stall. 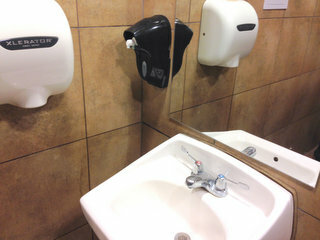 The soap and dryer was mounted low enough to be used adequately. In regards to the limited access to the bathroom, there is always one table there with their desserts offerings on it; but today they had two tables to display catering equipment. While the measured distance from the wall to the tablecloth hanging down was only 28 inches, I believe a chair could have made it through without striking anything. 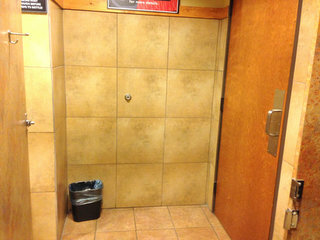 The soap dispenser and electric hand dryer seemed adequately low to accommodate a chair while being high enough to discourage kids from playing with them.